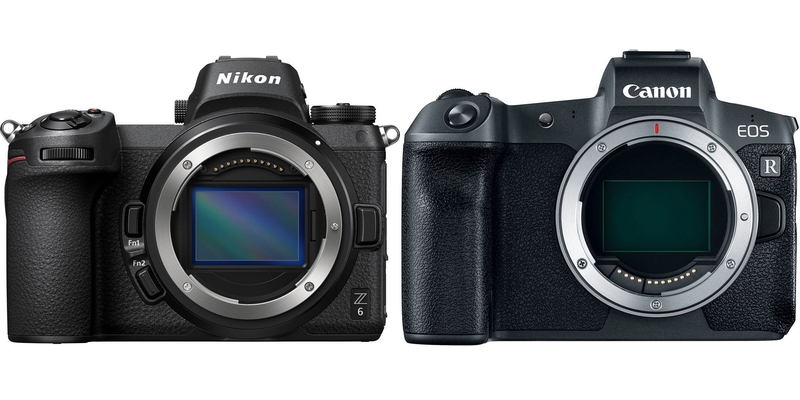 Canon EOS R or Nikon Z6? 1. Which of these 35mm cameras would you buy? Honestly, I think they both have very good feature sets, but the one thing that would tilt it towards Nikon for me is the presence of IBIS. The Canon doesn't have it, but it does have a lot of other very well thought out features. And I think it looks better. It is certainly a toss up, that's for sure. And now I also hear rumours of a 35mm 4/3rds format camera coming out from Panasonic soon. Where will it end? But if there were no other options, which one would you go for? I think that in spite of the lack of IBIS I would probably get the Canon. There's a better lens selection and generally I think their camera is better thought out. The dual pixel AF system is really very good, especially on face detection. Nikon. I prefer a Nikon in the hand, intuitive menu system, legacy lenses. But I won't be selling my SL. 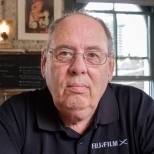 Possibly I'd stick with Nikon for the familiarity, however, if I were in the market for that level of camera (and maybe I'm mixing up the Z6 and Z7), I'd also be waiting to see what the Fuji GFX50R looks like. Both have one card slot, but the Nikon is XQD, much superior to Canon's SD. The Nikon has IBIS, the Canon does not. Nikon sensors have in recent years had better dynamic range, not sure about the latest cameras, but traditionally a weak area for Canon. Both have excellent lens ranges. It is most unlikely that I will buy either. OTOH the X-T3 is a probablity. Interesting, Anthony. The XQD is a reason why I wouldn't buy the Nikon. SD cards work perfectly well for me and cost much less. And I can use them in all my cameras. XQD cards are faster, more reliable and more robust. Speed is not relevant to many, but the other aspects are. I don't think the fact that different cameras have different cards is a big deal. It is something I currently live with. D3s has the horrid CF cards, D800 has CF and SD, and X-T2 has SD UHS II. Go Sony or Fuji XT-3 or, wait for Q1 2019 for Panasonic FF body with SL mount or, maybe stick with m43 and look at the new Olympus anniversary body. It's hypothetical. I'm not likely to buy either. I'm done jumping ship and am quite happy with my MFT system. I sat in a seminar this spring with a well known landscape and wildlife photography. He was talking about how he does focus stacking with his 1DxII. He was telling everyone about how it is an art form to be able to move the lens just enough between frames and then compile them in software. There was a row of us E-M1 users on the back row going..."seriously?". A $5,000 body does not do focus bracketing for you? It is totally amazing that we still don't see focus bracketing, HDR, live composite, or pro capture in all those large expensive cameras. Now if only Olympus can get a BSI sensor in the new anniversary camera body next year to improve low light performance! May Samsung will make one for them as they seem to have done for Fuji and may be doing for Panasonic 35mm FF. Honestly, the low light ticket has been worn out and isn't even a relevant argument for specs in cameras these days. The amount of times I need to shoot above 3200 is negligible. A fast aperture lens like the 75/1.8 is a big help. I couldn't agree more Dallas, and would go further and include as an irrelevance most of the other bells and whistles that really aren't necessary. I will concede that some are convenient but still over-complicate what is a simple process, once you understand the theory. When shooting at daylight and dusk in the Mara the past two weeks, I had to go above 1600 ISO on moving big cats and the lot. That might, I did say might, not have been needed if the sensor had greater sensitivity (greater SNR). That was the one advantage all the Canon DSLRs around us had. Several of those shooters were amazed by the 300mm F4 Pro. They could not believe the reach, speed, and sharpness for the size (and cost). "Honestly, the low light ticket has been worn out and isn't even a relevant argument for specs in cameras these days. The amount of times I need to shoot above 3200 is negligible. " Must be a nice, bright world you live in down there. My D500 Max ISO FREQUENTLY bumps into 25.6k land when out shooting High School sports events. If I had to stop at 3200, I would stay home. I would have voted "Neither", but this option is not available. If I was starting out in photography and there were no other cameras available, I would probably opt for the Canon. I am glad I am not in that position. Most modern cameras are encumbered with features I neither want nor need. I am totally happy with manual focus and shutter priority. Just like on my first SLR, the Canon AE-1. Quite right. Any camera in which the entire sensor is covered by the lens is "full frame". When most people say "full frame" they actually mean "35mm or equivalent".